Winter is NO JOKE (yes, all caps completely intentional). It's a fact most tropical dwellers like us aren't quite aware of—while packing for a first-time trip to somewhere snowy, we dupe ourselves into thinking that the cute outfits we've planned have enough layers. I'll be fine, you say. Look at all these knits I'm bringing along! Don't be fooled, because newsflash: you might freeze to death and look frumpy while you're at it. We're simply not used to negative-degree climes, so it's best to be safe and favor function over form. Still, know that style doesn't have to fly out the window! 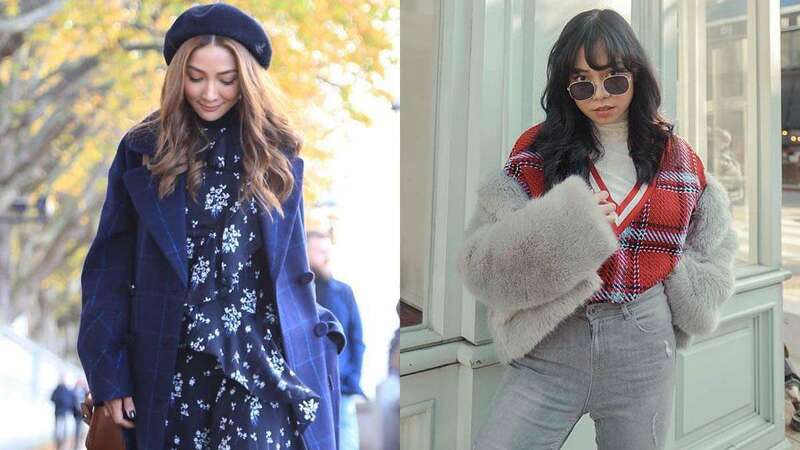 Below, seven toasty OOTD pegs from some of Manila's chicest. Keep these in mind for trudging through the icy cold. Preview's Fashion Director Daryl Chang knows that scarlet monochrome is the best way to look streamlined, even under the thermal bulk. Good outerwear is all you need to look stylish in frigid weather. Hye Won Jang's all-black ensemble pairs a pageboy cap with a peacoat, a fashion combo we love on her. Marie Lozano matches her beanie's pompom to the fur trim on her snow boots. Note how head-to-toe black serves as the perfect backdrop for playing around with winter accouterments! Track pants, structured outerwear, and white boots? Jess Connelly gets all our yeses. These are style essentials that go with anything—put together, they make for a classic-yet-current vibe you'll wear over and over. The plaid sweater vest Jeline Catt's got on rivals her soft gray faux fur jacket for our attention. Too cute! Ida Anduyan layers a punchy-hued coat over a hoodie. Take notes for your next streetwear OOTD—a swirl of red may be the only statement necessary to all the looks you've brought with you. Plus points for cohesiveness! Accessories are everything! Melissa Gatchalian teams a simple pair of denim jeans with a cognac-colored beret, candy-tinted sunnies and knee-high boots.